No Steve, we knew about the Olympics. You delivered us a horrible product. I watched the summer Olympics religiously when I was younger — from the opening ceremonies, which for the first time weren’t broadcast in their entirety, to the closing ceremonies, incredibly dull this year. This time around, I didn’t even have much interest in the games. Steve, we can make the Olympics better. While the numbers don’t show a switch away from traditional television this year, it was a turning point in people’s attention to the Olympics. If you don’t see the canary in the coal mine, your ratings are in for a shakeup in 2018 and 2020. The Olympic Committee and NBC ran this Olympics just like every past Olympics, and that’s the problem. On one of the first days, I was excited for beach volleyball. NBC repeatedly said “Coming up, beach volleyball!” Three hours later, still no volleyball. Women’s gymnastics were pushed by NBC to be as late as possible — surely not the best strategy for encouraging young women to see such role models. I’ll bet it was great for keeping people around for ratings. Random swim race after random swim race from 8:30 til 11pm, then finally gymnastics. The medal ceremony wasn’t held until 11:45pm. Oh good, let’s mix in some Springboard Synchro Final to push out gymnastics. Who uses the NBC Sports app on Roku or Apple TV? Thanks for the laundry list of random broadcasts with no rhyme or reason. I am an avid watcher of the “Gold Zone,” which flips around to whatever sport is competing for a medal. I’m pretty sure this is staffed by NBC interns. When you found something to watch, the quality was horrible. Or it buffered. Like streaming video did in 2005. Screen seen most often while streaming the Olympics. Olympics hold championships for 35 sports in 16 days. With 35 sports and 300+ events, there’s no way to possibly catch what you want. Table tennis might interest you — good luck figuring out when and where to watch it. There’s 4 live streams at 2pm on a Wednesday titled “Table 1” through “Table 4”. Huh? There were 6,755 hours of coverage during the Rio Olympics. That’s 281 days of 24/7 Olympic television. A sampling of the Olympic sports on August 18 before 11:04am local time. One day the television showed this obscure sport called Keirin. Let me tell you about it — a person on a motorized bike paces the field for 1.4 kilometers and then peels off for the regular bicycles to sprint to the finish. This is a sport. That was on television. Over any of the other sports. Keirin. Not at the Olympics, because rights to Olympic photographs cost a lot of money. 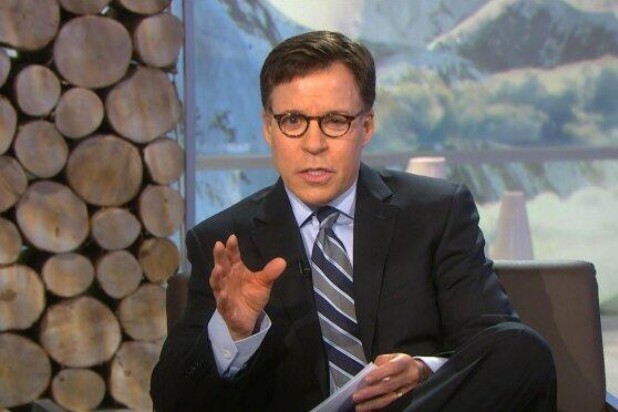 No Olympic list is complete without Bob Costas. Last Olympics, there was the botox/pink eye Costas scandal. This Olympics, despite limited appearances, SI put him on the level of gods. I wouldn’t know — I can’t concentrate when his shoulders are perpetually uneven. Have you noticed he cannot keep both shoulders level? You’ll notice it now, and it will bug you for the rest of Olympic time. NBC holds the rights for the Olympics through 2032. Get ready for more of the same in 2 years in Pyeongchang and 4 years in Tokyo!